sleeping 8 for family and friends reunions. The cottages are in the little village of Gawthrop, just 3 minutes drive from Dent with its cobbled streets, 2 cafés and 3 real ale pubs. 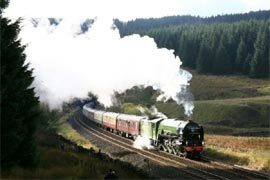 The Settle Carlisle Railway, renowned to be England's most scenic railway journey, has it's highest station at Dent, from where you can ride and explore both the Dales and Lakes. 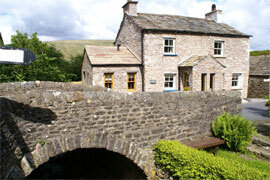 Dentdale is a wonderful playground for outdoor enthusiasts, both walkers and cyclists. 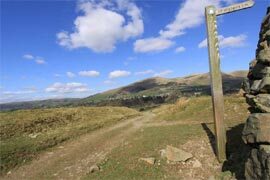 The Dales Way, Yorkshire 3 Peaks and Howgill Fells are all within easy access. Bridge cottage sleeping 6 is perfect for family holidays with 2 kingsize doubles, 1 twin and 2 luxury bathrooms. The Oak kitchen has granite worktops tops, dishwasher, underfloor heating, washing machine and drying area. 42 inch wall mounted Panasonic TV & DVD player. Both cottages include their own private garden by the stream, which is perfect for BBQs and picnics, free wifi, central heating, all towels, bedding, logs and coal. 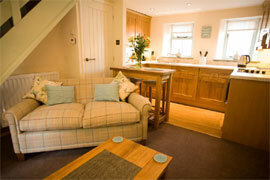 Both cottages have a cosy wood burner and are pet friendly!